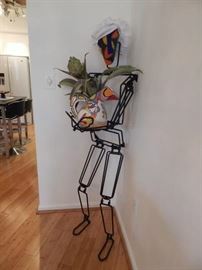 AddressThe address for this sale in Silver Spring, MD 20906 will be available after 9:00am on Thursday, May 23rd, 2019. We accept CASH , Visa & Master card for purchases over $25.00 or more. All items are sold " as is" and all sales are final! Thank you! We only have enough help to cover the sales floor so you need to bring your own helpers for moving any items purchased. We do have bags and some boxes for removal of small items purchased. Leave your bags and any other packing supplies in your car. We have the right to inspect any large handbags upon leaving the sale. Please manage your children and hold their hand at all times. Thank you! 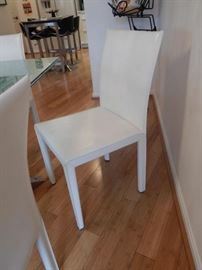 Set of six white leather dining room chairs. 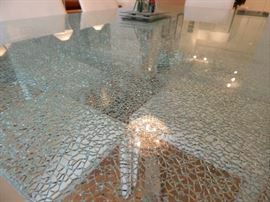 Really nice dining room table with a crackle glass design. 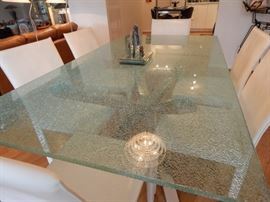 Glass is extra thick and in excellent condition. 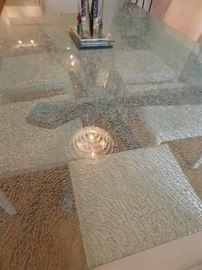 Dining table ...extra thick crackle glass. Nice!!! 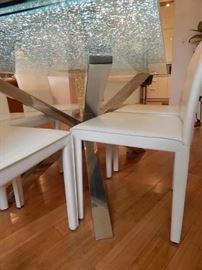 Chrome base to this fabulous dining room table. Excellent condition and a great modern look! 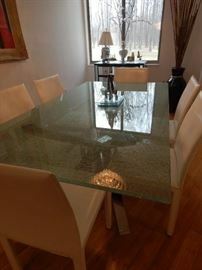 Dining room table and six white leather dining room chairs . All in excellent condition!! 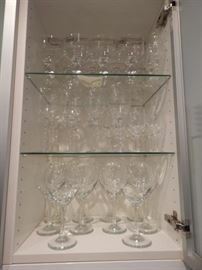 Cabinet full of wine glasses and other nice drinking vessels! 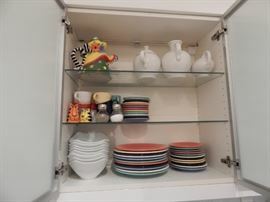 Kitchen cabinets full of dishware and items used while entertaining. 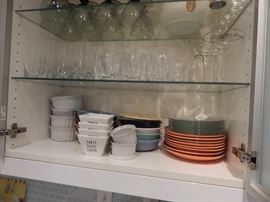 Several multi colored dishes by Fiestaware. A friendly piece of architecture just waiting for your personal touch. He dresses up in seasonal attire. Life size structure to decorate for your next event. Tall planter with full bamboo display. One of three floor lamps anchoring the leather sectional. Kitchen cabinets full of essentials. 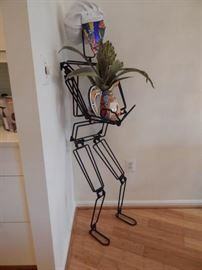 Tall sculpture by local artist. Paper work comes with. Living room area wool rug. Living room coffee table with heavy leaded glass top. Leather city size sectional. Nice piece! Accent table with marble top. Set of three floor lamps . Buy on or buy all!!! Rush seat bench settee. Several needlepoint pillows. Great space saver accent table. Sun room wicker chair and ottoman. Floor base to a three bulb swing lamp. Top has three lights. Floor lamp. Wall art... probably from Mexico. Detail on a floor lamp in the sunroom. Sun room accent wicker chairs and coffee table.